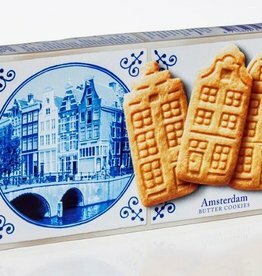 If you think about (the) Netherlands you might think about Amsterdam, Heineken, cheese, Dam Square, drop, haring and of course stroopwafels. 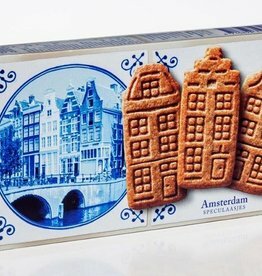 Stroopwafels are getting very popular in the whole world nowadays, like Delft Blue already is. This combination makes the products worldwide very interesting and a really eye-catching product. On the packages are languages like: Dutch, English and Arabic. For customers is the whole world it is understandable what is inside the Delft Blue stroopwafel package. 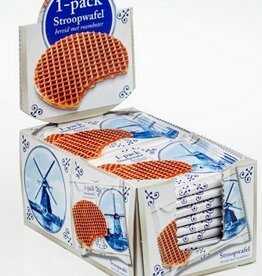 High quality stroopwafels from Holland with unique Dutch package. Mini Dutch Delft Blue Stroopwafels Box. Ten two pack of fresh Dutch Delft Blue Stroopwafels. 12 boxes with 6 individual wrapped stroopwafels, in total 72 stroopwafels in one box. Delicious Dutch authentic stroopwafels in Delft Blue package.